Berger Bullets has donated 50,000 Berger 155.5gr Fullbore, .30-caliber match bullets to the USA National Development Team. The value of this donation, based on the bullets’ retail price, is $19,500.00. 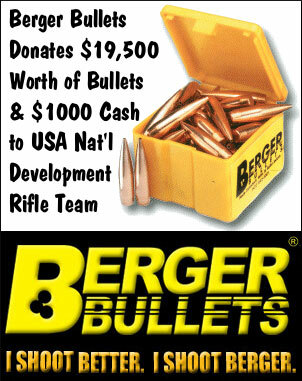 Dennis Flaherty, USA Rifle Teams Captain, also reports that Berger has pledged $1000.00 in cash each year and will continue the 50,000 bullet donation every four years on the World Championship Long Range and Palma Team match cycle. Bullets may be purchased by emailing Dan Simpson at ishoot@gsinet.net for ordering instructions. The price is $195.00 per 500 (minimum order) and shipping is free!! (USA ONLY.) Please make out your tax-deductible donation check to: Palma Promotions, a 501(C)(3) organization. This is a great opportunity to support the Under-25 Team and send our young, talented shooters and their coaches to the World Championships. Commenting on his company’s donation, Eric Stecker of Berger Bullets wrote: “Berger is committed to [supporting and strengthening] the shooting sports. As a gesture of strength and solidarity I am working to join forces between competing brands of bullets to support these efforts. Sierra’s Matt Reams and I worked together to make sure that both companies can provide a show of support without conflict with sponsorship agreements. I was happy to hear that Dennis Flaherty decided to apply these funds to the Under-25 Team. Who better to benefit from this situation than those junior shooters…? Share the post "Berger Gives 50,000 Bullets to USA Nat’l Development Rifle Team"
Blair Atholl’s Glen Tilt range in the Scottish Highlands has a worldwide reputation for being difficult thanks to constantly-varying winds influenced by the venue’s steep, irregularly-contoured terrain. Nevertheless, three new GB F-Class Association League 1,000-yard competition records were set at Glen Tilt over the weekend of August 7th and 8th. The new records were shot in Round 5 of the F-Class Association’s championship program. The event comprised five matches, three on Saturday with 20 score shots and two on Sunday with 15 for a maximum possible score of 450-90V. (UK and British Commonwealth targets score five for the Bull). Targets were the usual international F-Class design, a modified Palma type with a half-MOA white aiming mark that also scores as the ‘V’ (‘X’ in American terminology), one-MOA bull and score rings spaced a half-MOA apart. Looking downrange at magnificent but fiendishly difficult Blair Atholl range in Perthshire, Scotland. In Match 1, John Carmichael of HPS-Target Rifles Ltd. used one of his own creations to shoot a 100-6V. A new record, this was the first-ever 1,000-yard, 20-shot match F-Open ‘possible’. John Cross almost immediately followed with a new F-TR record score of 96-3V, just edging Spanish F-Class competitor Ramon Fito. 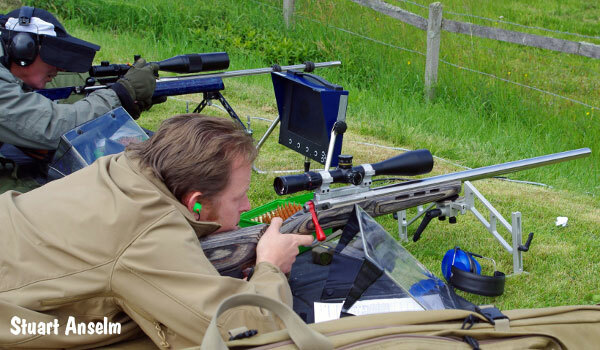 In the photo below, John Carmichael plots another Bull or V while shooting a record 1,000-yard score, with his RPA / HPS-TR System Gemini 7mmWSM rifle. Sunday morning initially saw unusually light winds which no doubt helped Osprey Rifles proprietor Stuart Anselm set a new 15-shot, 1,000-yard F-TR record score of 75-4V in Match 4, using a rifle he had built himself on a Savage 12 Target action (photo below). British F-Class competitive standards continue to rise in both classes, perhaps more markedly in F-TR which is seeing very sharp competition in 2010 as well as increased numbers of entrants. The overall winners were Peter Hunt (439-17V) in F-Open, and Stuart Anselm (424-12V) in F-TR. 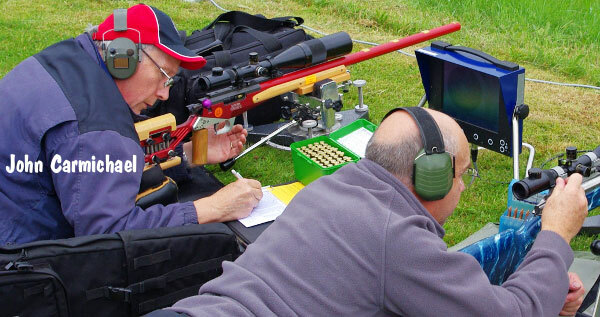 Blair Atholl also saw the first use of a .223 Rem caliber F-TR rifle in a 1,000-yard GB national league event with Laurie Holland taking seventh with 412-11V using 90gr Berger VLDs. Share the post "Three U.K. F-Class Records Broken at Match in Scotland"
What happens when two dedicated sport shooters, one of whom is an IT specialist, find they aren’t able to source the ammo and reloading supplies they need? Well, they start their own company! The acute ammo/component shortages of the past two years inspired the creation of LuckyGunner.com. LuckyGunner.com’s story is like most American success stories: a combination of hard work, entrepreneurial innovation, and some good fortune. The co-founders, both under age 30, successfully navigated the Obama-induced ammunition shortage, the Great Recession, and the normal challenges faced by all small-business owners to transform their idea into a shooting supplies website generating over $3,200,000 of revenue in its first twelve months. Among ammunition and component vendors, LuckyGunner.com is somewhat unique — it “doesn’t do back-orders”. Through an advanced “real-time” inventory system, everything that displays on the LuckyGunner.com website is guaranteed to be in stock. LuckyGunner.com also ships orders fast — normally all orders placed before 3:00 pm EST will ship that same day or on the following business day. Most of the loaded ammunition carried by LuckyGunner.com is for handguns, but the company is building up its selection of name-brand rifle ammo in popular calibers: .308 Win, .223 Rem, .243 Win, 30-06, 7.62×39 and more. 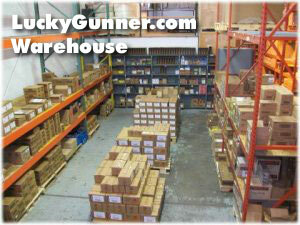 And of course LuckyGunner.com maintains a huge supply of 22LR and 17HMR rimfire ammo in stock. Hand-loaders will be pleased to note that Luckygunner.com has plenty of primers in stock, of all flavors: CCI, Federal, Fiocchi, Remington, Winchester, Wolf. Luckygunner’s founders had themselves experienced the frustration of waiting long periods for merchandise: “We were already customers of other online retailers and simply realized that all our normal sources were chronically out-of-stock.” This frustration was compounded by the common industry practice of accepting orders for out-of-stock product and then notifying frustrated customers only days later that the order could not be fulfilled for several weeks or months. 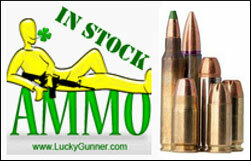 Share the post "Ammo Vendor Guarantees In-Stock Inventory and Fast Shipping"